Dothan Alabama based, Painting Contractors Alabama, is an industrial and commercial painting contractor, has been coating extraordinary structures and offering commercial and industrial painting services for nearly two decades, and we would like to add you to our list of satisfied customers. Our professional painters have earned us a reputation as one of Alabama’s premiere painting contractors. 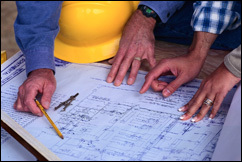 Over the past few years, we have expanded our operations to include more commercial, retail, and industrial projects. Regardless of the project size, our philosophy never changes: we get to know our customers and provide exactly what they want and need. While every painting contractor you’ll talk to will promise a great deal, your best and final decision should be based on the contractor’s reputation, and the quality of their final product. With superior craftsmanship second to none, you can count on all the people at Painting Contractors Alabama to be professional, detail-oriented, clean, reliable, honest, caring, and dependable, as have thousands of others over the past many years. Our hope then, is that this website will aid you in your decision making, and that after all is said and done, you’ll find the information you’ll need to make Painting Contractors Alabama your first, best, and only choice to fulfill your professional painting and coating needs. So please… take your time, look around, and contact us via our online inquiry form or you can contact us directly with any questions you might have regarding any information you need to know to help us help you improve the quality and value of your property. We will meet your needs, no surprises or disappointments. If you own it, we can paint it. Contact Us to discuss your specific painting needs. Chances are that we have encountered these opportunities before and will be able to offer solutions. 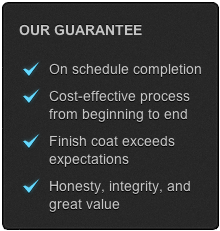 Your goal and ours is to get the painting project complete with the least impact on day to day operations. We manage all stages of your project and will work with you and your production schedule to insure the work is completed prior to inspections or deadlines. We are proud holders of a Painting Contractors license, fully insured and we will be happy to discuss your paint coating needs.